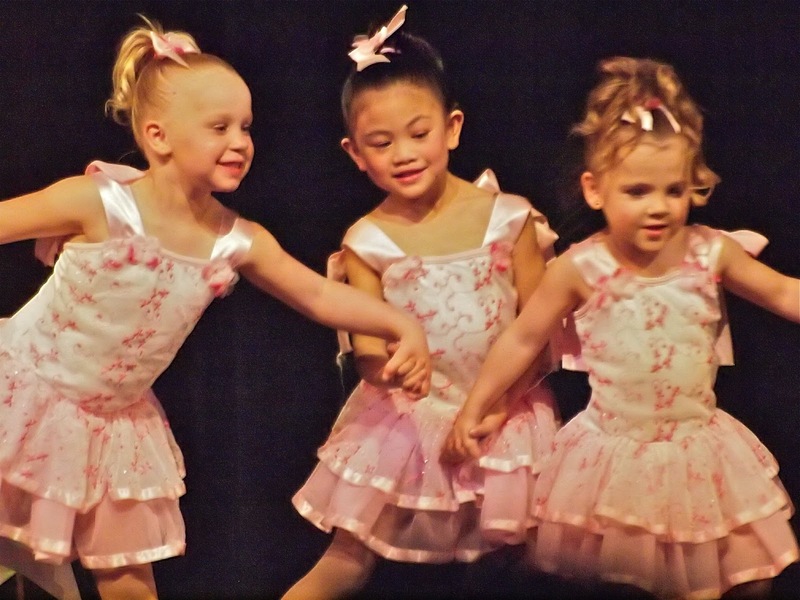 Red Deer Dance Magic presents "Just Dance - 2012"
We the Sheeple - done in again! Great News! We have made our Goal. 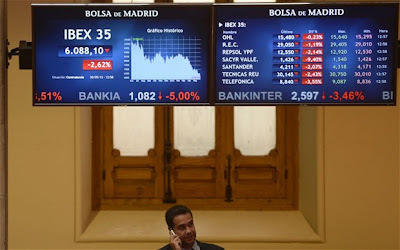 Spain is facing the gravest danger since the end of the Franco dictatorship as the country is frozen out of global capital markets and slides towards an epic showdown with Europe. “We’re in a situation of total emergency, the worst crisis we have ever lived through” said ex-premier Felipe Gonzalez, the country’s elder statesman. The warning came as the yields on Spanish 10-year bonds spiked to 6.7pc, pushing the “risk premium” over German Bunds to a post-euro high of 540 basis points. 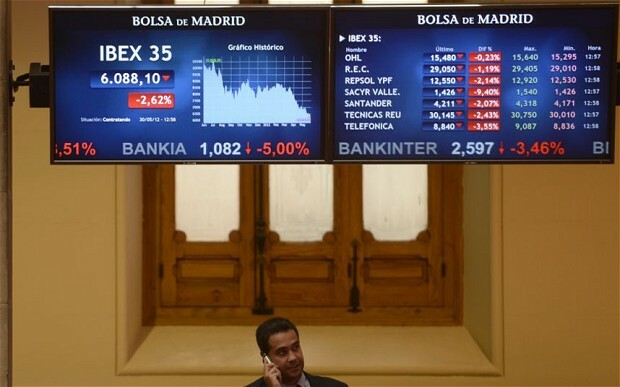 The IBEX index of stocks in Madrid fell 2.6pc, the lowest since the dotcom bust in 2003. Chaos over the €23.5bn rescue of crippled lender Bankia has led to the abrupt resignation of central bank governor Miguel Ángel Fernández Ordóñez, who testified to the senate that he had been muzzled to avoid enflaming events as confidence in the country drains away. Markets are on tenterhooks as Spanish yields test levels that forced the European Central Bank to respond last November with its €1 trillion liquidity blitz. “Nobody is short Spanish debt right now because they are expecting ECB intervention,” said Andrew Roberts, credit chief at RBS. “If it doesn’t come -- if we take out 6.8pc -- we’re going to see a hyberbolic sell-off,” he said. The Social Democrat opposition supports the idea. The Greens say they will block ratification of the EU Fiscal Compact in the German Bundesrat -- or upper house -- unless Mrs Merkel relents. "The Redemption Pact cleverly combines the advantages of lower interest rates through joint European borrowing with a reduction of debt," says Green leader Jürgen Trittin. "Joint liability would be limited in both time and scale." Spain is spiralling into the vortex of debt-deflation. This has nothing to do with Greece. It is not the result of fiscal extravagance over the past decade, or other such Wagnerian myths. The country’s collapse is the mathematically certain - and widely predicted - result of ferocious monetary and fiscal contraction on an economy struggling to deal with a housing bust. Monetary tightening by the European Central Bank caused Spanish real M1 deposits to fall at an 8pc rate in mid-to-late 2011, guaranteeing the crash into double-dip recession that we now see. Indeed, the ECB even let the broader M3 money supply contract for the whole eurozone late last year, badly breaching its own 4.5pc growth target. This was not purist hard-money discipline. Let us not dress it up with the bunting of ideology, or false authority. It was incompetence, on a par with the errors of 1931. Spain’s Bankia fiasco has merely brought matters to head, though the details are shocking enough. A €4bn bail-out in mid-May. A €23bn bail-out two weeks later. You couldn’t make it up. Investors have noticed that Deloitte exposed the rot, not the regulators. Bankia is the creation of the ruling Partido Popular, thrown together from regional cajas under its control. It was a sink for €30bn of bad debts from property developers, an instrument to "extend and pretend", to cover up the systemic awfulness of the housing crash. May birthday people - Front: Vivien Miller, Maria Vos, Evelyn Bertagnolli, Gay Steves. Back: Wendy Jendrasheska, Jean Folis, Norman Rose, Frank Foesier, Stuart Scot, Jim Pearson. 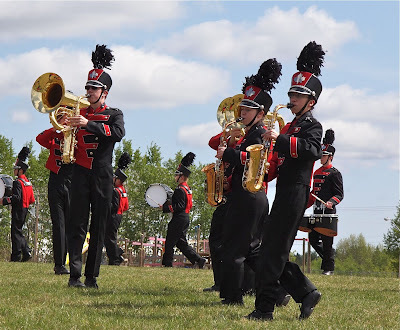 The Red Deer Royals presented their show "Scheherazade"
As always, there were many colorful entries in Caroline's annual parade down Main Street on May 19. The parade is set to coincide with the Victoria Day holiday weekend when thousands of people from the big cities descend on the west country with their recreational vehicles, tents, boats and quads, etc., to get a taste of spring in the great outdoors. The cooler weather seemed to bring fewer people out than last year, but the enthusiasm was certainly up to par. An impromptu clown entertained in the middle of main street prior to the actual parade, eliciting laughs and applause from the spectators. Two marching bands participated inn the parade: The Red Deer Royals (see separate report) and a group of pipers as well. And the horses and riders always make up a very thematic tail end of the parade, which. as it happens, takes place on Alberta's officially designated "Cowboy Trail". Finale - see you next year! The US economy has slowed to stall speed. A few lonely forecasters fear that America has already fallen back into recession, replicating the terrible double-dip of 1937. A few lonely forecasters fear America has already fallen back into recession. The Philly Fed’s manufacturing index dropped suddenly to minus 5.8 in May. The US Conference Board’s index of leading indicators fell in April. Job creation has slipped from 250,000 a month to nearer 130,000 in March and April. The Economic Cycle Research Institute (ECRI) says post-War personal income growth in the US has never been this weak for three months in a row without triggering a recession. It has happened ten out of ten times. It is this fresh menace - combined with China’s failure to calibrate its heralded soft-landing - that poses the real danger to southern Europe’s arc of depression over the next year. Greece is just a poignant detail. America’s official data has not picked up any inflection point yet. We may be repeating the summer of 2008 when Washington mistakenly reported brisk growth and Fed rhetoric turned hawkish, setting off the Fannie/Freddie, Lehman, AIG disasters. We now know that the figures were wildly wrong. The economy was already in slump. Fed chair Ben Bernanke is vigilant this time. Last week’s Fed minutes hinted at fresh stimulus if “the economic recovery lost momentum”. The Fed noted “sizeable risks” as $1 trillion (£633bn) of fiscal cuts kick in automatically at the end of the year. Be a part of the Country Drive Showcase Weekend - June 2 & 3rd with a stop at the Danish Canadian National Museum & Gardens! Vivian Hansen is a poet and freelance writer. Her poetry, fiction, and nonfiction have appeared in a wide variety of anthologies and journals with work that has encountered women's issues, the western landscape, work and immigration. She is the co-founder of the Calgary Women's Writing Project where she served as VP Publishing and Editor of Forum Magazine (a journal of the Calgary Women's Writing Project). 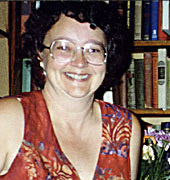 Vivian taught poetry and life writing workshops with the Alexandra Writers' Centre in Calgary and facilitated workshops in poetry and life writing. She served as a judge and contest coordinator for the former Calgary Writers Association and has judged for the Hamilton Region Arts Council. Vivian is a member of the Writers Guild of Alberta and served as a Member-at-Large 2002-2003, President 2003-2004, Past-President 2004-2005 and Chair, 2006 Alberta Book Awards Committee and is also a full member of the League of Canadian Poets, Calgary. 1999-2000 she was President of the Society of Poets, Bards and Storytellers. She was Associate Editor, A.S.H. (Arts, Science & Humanities Journal) Turtle Island Press, 1996-1997. All key indicators of China's money supply are flashing warning signs. The broader measures have slumped to stagnation levels not seen since the late 1990s. Narrow M1 data for April is the weakest since modern records began. Real M1 deposits – a leading indicator of economic growth six months or so ahead – have contracted since November. They are shrinking faster that at any time during the 2008-2009 crisis, and faster than in Spain right now, according to Simon Ward at Henderson Global Investors. If China were a normal country, it would be hurtling into a brick wall. A "hard-landing" later this year would already be baked into the pie. Whether this hybrid system of market Leninism – with banks run by Party bosses – conforms to Western monetary theory is a hotly contested point. The issue will be settled one way or the other soon. The Caroline Legion Branch 177 honoured local women who have served in Canada's armed forces in years past at it's weekly pot-luck supper on May 11. 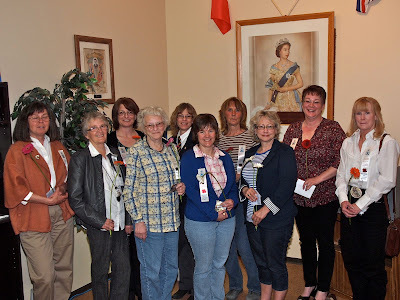 Terry McGuire gave a history of women in the military and Darlene Houlton introduced the invited guests, some of whom have served in Canada's armed forces and others representing family members who served in the past. JoAnne Pope gave a snapshot of military life. Guests of Honour: Elise Labbe', Barb Hirtle, Teresa McLean, Rita Stewart, Debbie Howe, Nadine Powell, Val Brown, Debbie Nelson, JoAnne Pope, Karen Wilson. Caroline ATB Financial staff that financed and put together this playhouse as their contribution to the children's hospitals fundraiser: Robin Watt, Donna Kanten, Karen Foesier, Saritta Mulligan, Merna Cermak, Jenna Ross, Teresa McLean. 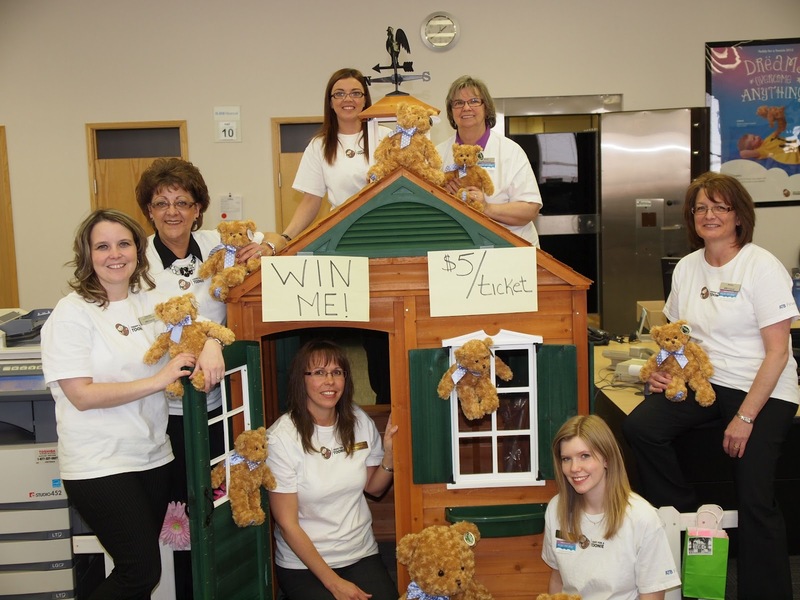 Staff at the Caroline branch of ATB Financial are currently conducting a silent auction of donated items and raffling off bears and a playhouse to raise funds for the children's hospitals in Calgary and Edmonton. 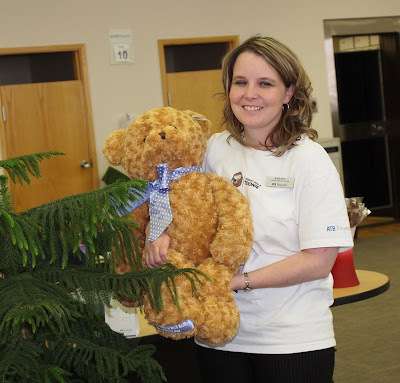 Called the "Teddy for Toonie" campaign, this is an annual event that runs until May 30 and is well supported by the local community. The Caroline branch staff decided to put a playhouse together this year and $5 tickets are available in many ATB Financial branch locations. ATB Financial is a unique banking system, owned by the people of Alberta with locations in most Alberta communities. The bank has assets of some $27 billion. 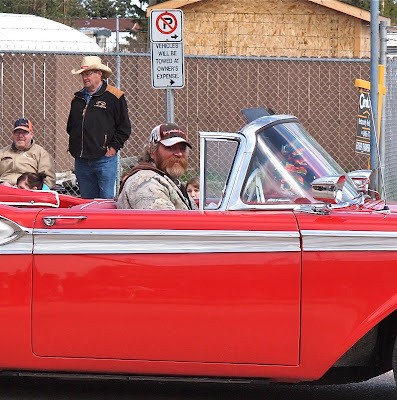 Dave Rawlings Machine - "To Be Young (is to be sad, is to be high)"
Clearwater County is a rural municipality in West Central Alberta. Clearwater County is about to prepare tax notices for the 2012 year involving the collection of some $32.5 million from taxpayers. The bulk of these taxes will come from industries operating in the county, with the balance from land owning residents. 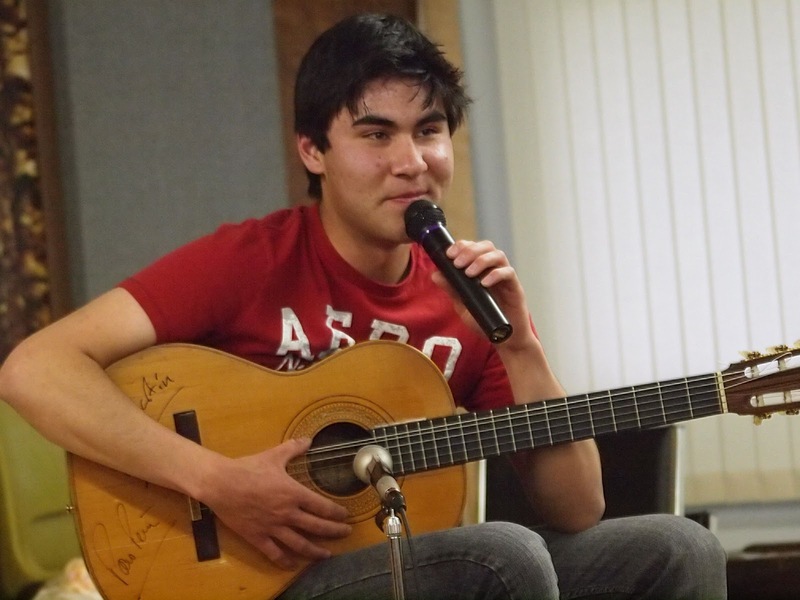 About half of the taxes collected ($15+ million) will be passed on to the Province of Alberta to pay for the education of the area's youth; the rest is applied to the county's budget providing services to local residents. 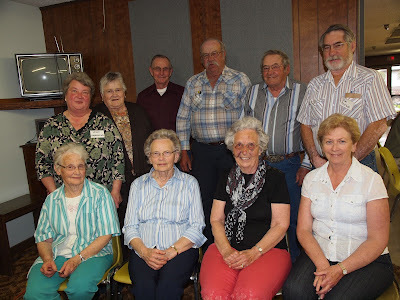 A delegation from a group calling itself "Clearwater Rural Roots" appeared before the Clearwater County Council at its regular meeting on May 8 with questions about information released to date about tax increases in the budget for 2012 mentioned here on this blog. The delegation was led by Marianne Cole who made a presentation to Council based on an actual increase in her tax payable of some 7% over last year. 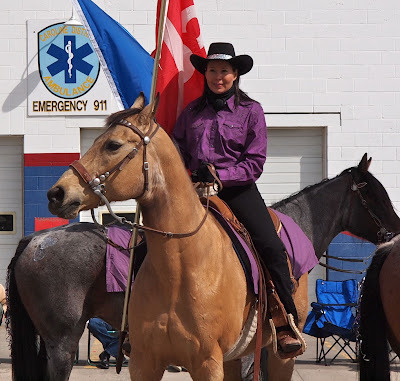 The interaction between the delegation and Clearwater County Council and staff went on for approximately 1.5 hours and involved a frank exchange of views from both sides. The delegation felt that, generally, not enough information or time had been made available by Council, to explain its position to the public, resulting in misunderstandings. Council, on the other hand, suggested that this information had been made available at recently held "open houses" conducted by councillors and staff. At the end of the day, the figures shake out as follows: There will be an overall increase in tax money collected by the county of some $2.5 million over last year (when $30 million was collected). About $0.9 million of this increase is collected on behalf of the Province as a provincial education tax with the remaining $1.6 million augmenting the county budget. About $1.4 million of the increase comes from industrial operators within the county and the remaining $200,000 from resident taxpayers. After the melting of the snow, volunteer groups in Alberta get out to clean up the roadsides of the province's highway, earning some cash for their groups in the process. 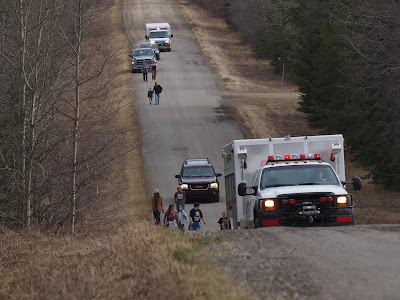 This happened on Highway 54 west of Caroline on the weekend of May 4/5 and is an ongoing process on both primary and secondary highways. A number of individuals also scour roadsides for empty bottles and cans which are taken to recycling depots for cash. It is a very effective system that makes the roadsides ready for mechanical slashing of grass later in the summer. Rocky Mountain House's 32nd Annual Trade Show was held in Rocky's twin Kootenay and Voyageur arenas from May 4 - 6. A total of 136 booths, plus open areas were set up on the concrete surfaces that are covered with ice for most of Canada's long winter season. While only a fraction of the area's multitude of businesses and organizations had stalls in the show, they represented a very wide range of activities and interests. 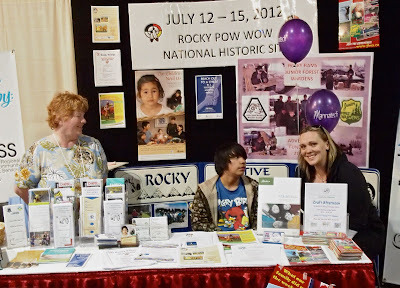 The show is put on by the Rocky Mountain House and District Chamber of Commerce to showcase what the area has to offer, to both locals and people from other places. There is a debate going on in the Rocky district at this time about the economic future of the area as local hydrocarbon deposits are slowly and steadily depleted and shoppers migrate away from area businesses to larger centers with more big box stores. Somehow, local business people and area residents will have to find a way to deal with these structural changes in the local economy. Editor: This video gives an insight into what ails the discipline we call "economics" and its failure to predict the ongoing economic debacle we are now experiencing. These folks are new thinkers with new perspectives that take into account the complexities of human nature in the economic equation. It is now one year since a person claimed to be Osama Bin Laden was murdered by a swat team of American Navy SEALS that arrived at his abode in Pakistan in a stealth helicopter. The individual was shot at point blank range and the body removed to never see the light of day again. It also happened that the helicopter crashed, presumably while leaving the compound, killing several members of the SEALS team in the process. Through the generosity of concerned people across the province, Alberta Landowners Council has reached the goal of $60,000.00 towards the Appeal of the AUC's decision regarding the Heartland Transmission Line. 252 Albertans (couples and individuals) came forward with commitments to donate. 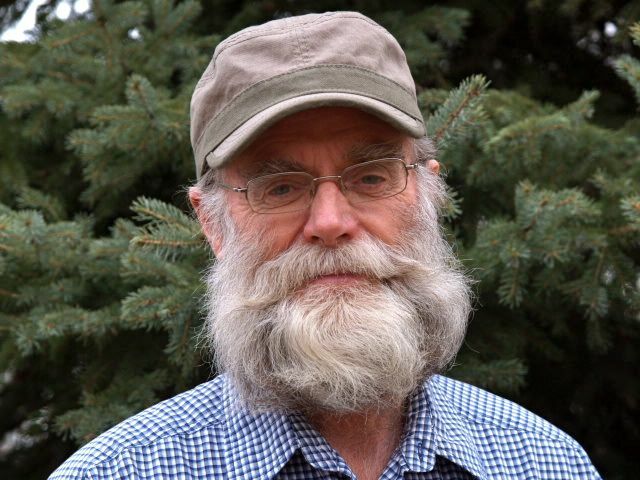 Keith Wilson will be taking the next steps in the appeal on Wednesday, May 02, 2012 and then seeking an injunction to stop the construction of the Heartland Power Line. This is really great news. 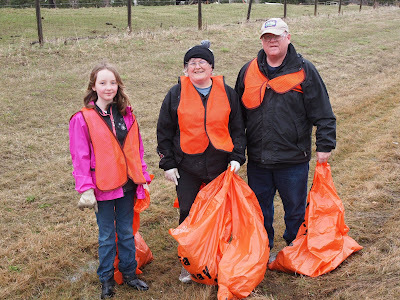 Alberta Landowners Council would like to emphasize that this has been possible because ordinary Albertans stepped up to the plate, and donated generously. You have realized how devastating this could be for all of us, and you have taken a stand to help, when it could have been so easy for you to sit back, and just watch. We are so proud of you, the donors who phoned and emailed from across this great province, to help support this effort. 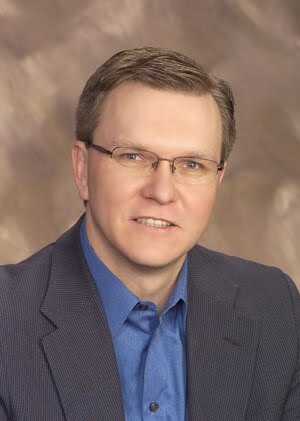 We heard you tell us, with great passion and conviction that you want to help protect what is right, and are willing to donate your hard earned money to help Keith Wilson fight this 16 billion dollar boondoggle. For this, we thank you from the bottom of our hearts. We must also mention that none of this would have been possible if it were not for the relentless, self sacrificing effort and conviction of Lawyer Keith Wilson. He has been the beacon that has lead the way for us, always sharing his time, his expertise, and his desire to inform everyone so that we could understand how important this was for all Albertans. We are forever indebted to him for his thousands of hours of donated time. We can all wish him the best now, as he has much work ahead of him with the Appeal, but can move forward knowing that we, ordinary Albertans are supporting him all the way. I ask that you please send your donation as soon as possible, as we are counting on all of you to complete your pledge. I will send you a receipt in the next couple of weeks. Write “Heartland Appeal” on the memo line of the cheque. Members of Caroline 1st. Scouting made their annual walk from the Clearwater Store to Phyllis Lake on April 30 in overcast spring weather. This is an annual fundraiser for the scouts, sponsored by the Caroline Lions club and supported by parent volunteers and friends. Phyllis Lake is believed to have been created by a massive meteor impact in the distant past as it has a fairly circular deep hole in the middle. The lake was named by early surveyors after the first baby of European origin born in the Caroline area. The Caroline Complex was filled to capacity on the evening of April 26 as young performers showed their stuff on stage to an appreciative audience. Performances ranged from a puppet show to piano and singing with dance, magic and comedy in between. 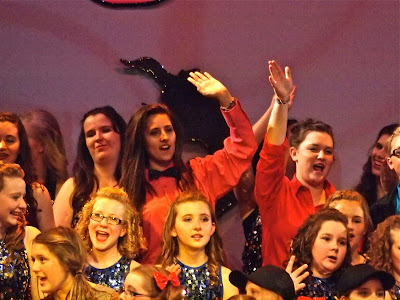 More than 20 volunters worked in the background to make the show the success it was, both for performers and audience with excellent sound and lighting provided. 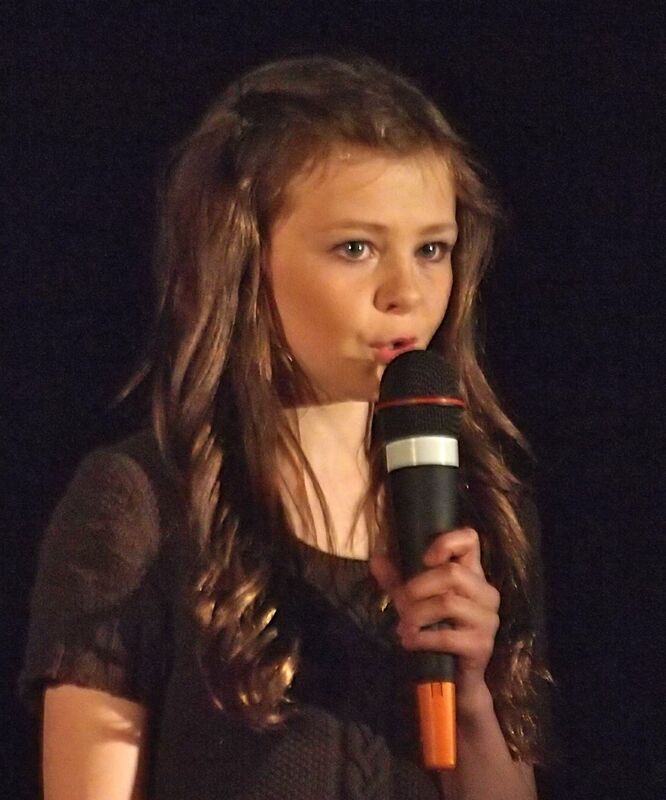 The show was put on to support fine arts in the Caroline community, leadership skills in Caroline School and a clean water project in Haiti.